MINNEAPOLIS (10/25/2018) – The banners on Johnson Street Northeast received a fresh look on October 24 thanks to a rebranding effort between the Northeast Minneapolis Chamber and the Johnson Street Merchant Association (JSMA). Ten banners went up between 28th Avenue and 29th Avenue, replacing damaged or missing banners that were last installed more than a decade ago. Eight banners will be installed later this fall and another six banners will be installed early in 2019 as the city replaces several utility poles. The rebranding process, a five-month long project, includes the updated banners as well as an updated logo. The JSMA selected four themes to represent the different activities that take place in the Audubon neighborhood. This branding will also be reflected on JSMA’s website, social media pages and on special event promotions. The rebranded banner project was part of the Northeast Minneapolis Chamber’s continued work through the Destination Northeast initiative to enhance node and activity center awareness, visibility and branding throughout Northeast Minneapolis. 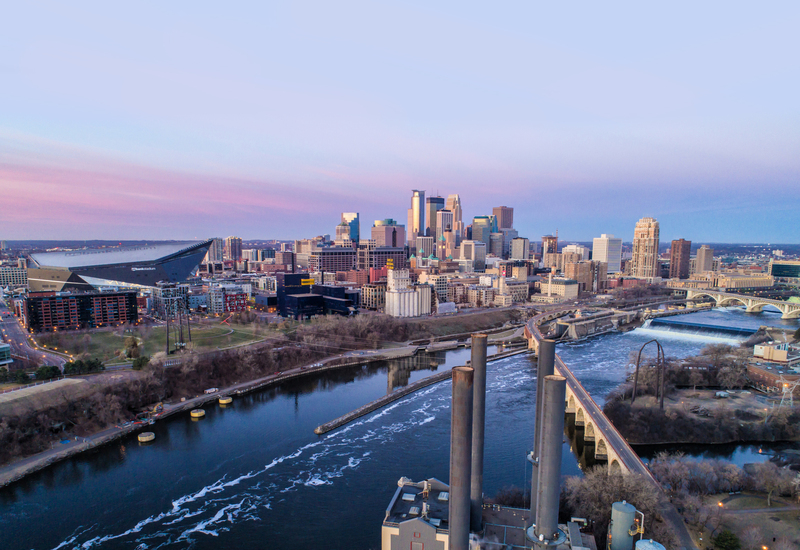 Destination Northeast is a hyperlocal tool that helps connect visitors to some of the best parts of Northeast Minneapolis. With over 140 represented businesses, the program allows residents and visitors to discover businesses in Northeast through a website, an app, a printed map and several social media channels. The chamber hopes to participate in other rebranding and banner projects in the future should funding be available. A similar, though temporary, project took place on Central Avenue in the special service district between 19th Avenue and 26th Avenue this summer and fall featuring the Destination Northeast brand. Destination Northeast is a partnership between the Northeast Minneapolis Chamber and the City of Minneapolis and was made possible through Great Streets Neighborhood Business District Program grant funds.